Registration has closed on Event 3 in the WPTDeepStacks Championship Series - $250 with $200 Bounties - and the board shows 68 entries. This creates a unique prize pool of $13,600 in bounties and a Winner Take All prize of $1,360 for first place. 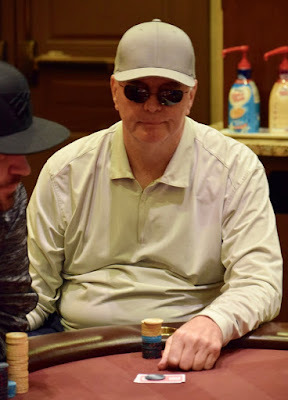 Short-stack Mike Harvey just tripled up, QQ > JJ > AK, with Al Sanchez grabbing the $200 bounty from the AK player on the first hand back from registration break.